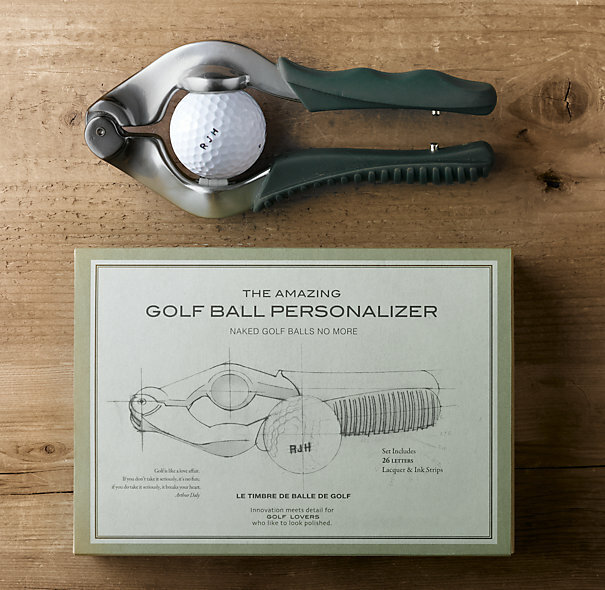 The "Golf Ball Personalizer" by Restoration Hardware, is a great gift for the Golf fanatic in your family. The stainless-steel imprinting tool is very easy to use and can print up to 3 initials on a golf ball with a mere set-up and squeeze. 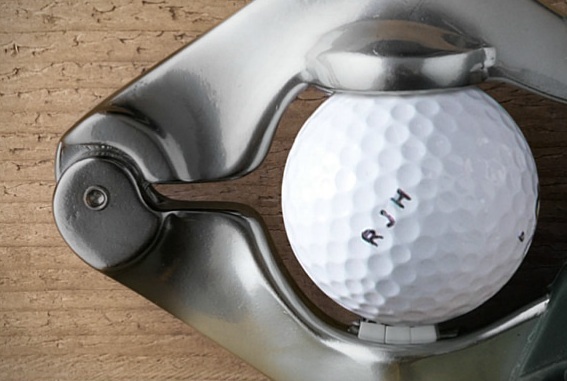 No more squabbles over whose ball is whose!